Tumkur visit was cancelled due to unavailability of the HM in 4 schools. in setting up the Learning centers and team was very much impressed. this also to spread the awareness about education. 1 – IS Learning Packages -> what is this, how it would be executed etc. 2 – IS Science Lab -> Idea behind opening this, what’s the use etc. sons are getting deviated from there ancestral work which is kind of alarm. train and which will be driven by IS. and they will spread through there programs. there on need to decide how to proceed. from the start kids will know options which are there in future. Mr. Cyril W Vas who is responsible for the Bellary district from Myrada. these place during 1st week of June as now school holidays started. these places some time in June once the schools are started. This is our second initiative in Westbengal. (First one was Amlasole). I met Mr B. R Mishra on 21st March at his residence. We discussed about their future planning and other requirements. Initially we were planning to support only two teachers, but now as per their latest request we will be supporting the third teacher too. They are also sent their request for educational materials for the kids, please find the attached list of books and their requirements. Will keep you posted on future planning. 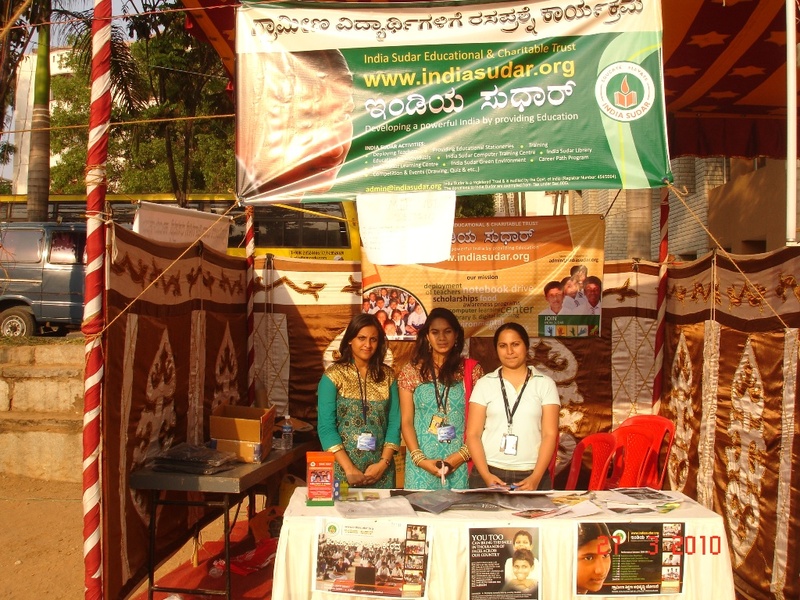 The India Sudar-KA team members arranged for a stall at a college fest “Cultura” in CMR Institute of Technology as part of membership drive and raise funds for the notebook drive. Venue: CMRIT College,Kundanahall i,Bangalore- 560043. Duration of the Event: 9am-6pm. We sold T-shirts and applied mehandi to raise funds. We also brought awareness about India Sudar to the crowd by giving them free book marks, brochures and so on. 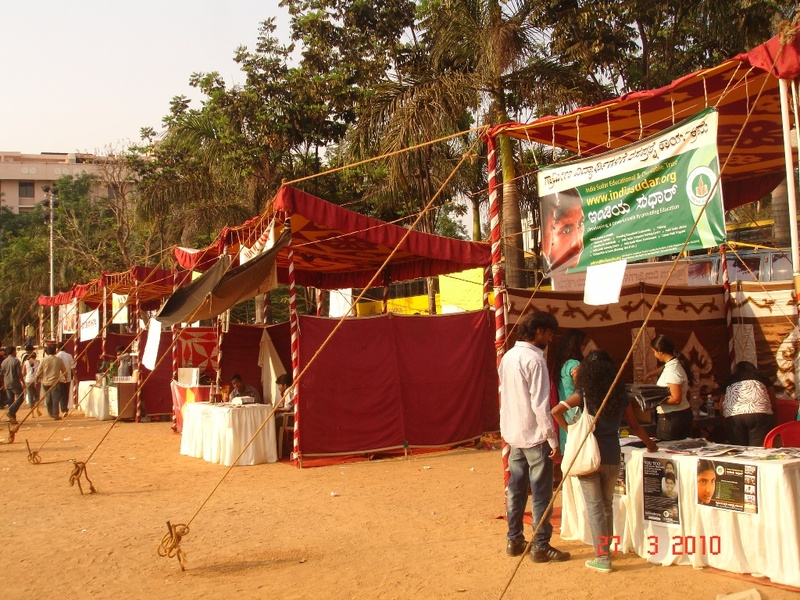 Special thanks to Mrs Lalitha Asokan(lecturer at CMRIT) who helped us to get a stall at the fest. to Inchara and Ridhi who volunteered to apply mehandi. Thanks to all the volunteers who made this possible. Please continue your support for elevating educational standards of the underprivileged. Today we have distributed free chappals for following schools. A member from YHM, Ms.Jaya participated in the event. Panchayat president from Mayanoor also was present. It was very great for rural school children who have been struggling without proper footwear in this summer. some of them have got a footwear for the first time in their life. 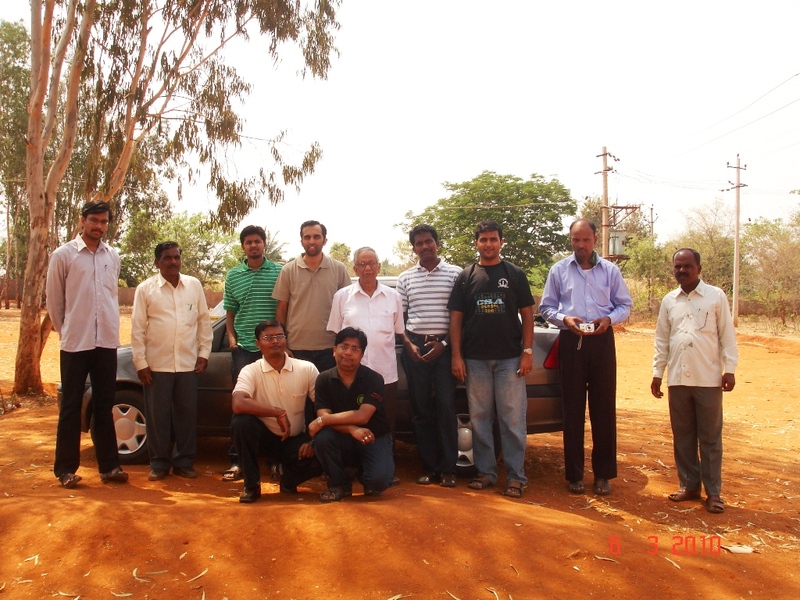 About the place: All the three villages which we visited are remote villages. Good connectivity from road and roads are good except for the roads towards Dinnur. Main income source is Agriculture and coolie. As other villages this place also no parents are literated. Saturday morning we started @ 0700 Hrs and reached first Budikote village @ 0915 Hrs (15 mins behind schedule). Nagaraj quickly introduced to Principal of the college. In Budikote its Govt. P.U Composite College. Primary, High school and P.U.C are in the same building infact share the building. Constuction are going on and some of the classes are conducted under the tree in open ground. In this college there only one stream that’s ARTS. 10th pass students are having no option but to choose for ARTS. Very less students who are interested in studies will continue there other streams. Bangarpeth is the nearest place where students can go for SCIENCE and COMMERCE which around 40KM from Budikote. 1) Principal requested for P.U course materials, There are no pre-defined subject books for PU hence principal requested for various authors books which will be maintained in the Library and rotated. He has given the list of hard copy of the Books. – Pass Percentage is 80. – There are all together 800 students in High School (8th, 9th & 10th). – Local lawyer donates note books to 100 – 150 Students. REQUIREMENT: We are having a requirement of providing Note Books to approx 500+ high school children. Govt. 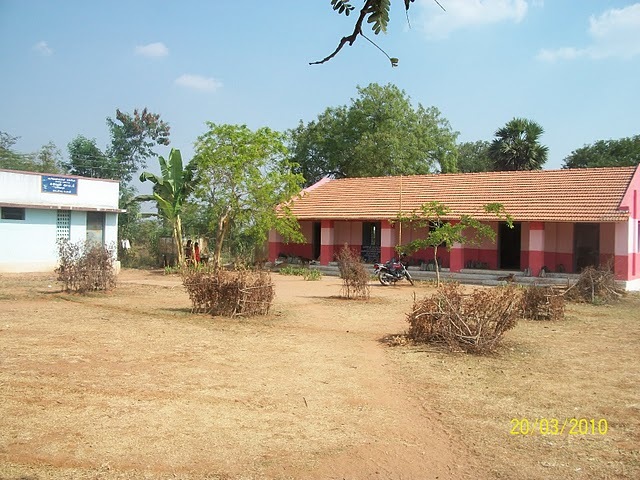 Primary School, Budikote, Lakshamaiah. Head Master. – Very poor financial back ground, Mainly parents are coolie on agriculture fields. REQUIREMENT: We are having a requirement of providing Note Books. – High school and primary are having separate building. – From this high school last year students represented in state level cultural activities. – Drop outs are very less. – Pass percentage is 85. REQUIREMENT: Along with the Stationeries for the students head master also requested if IS can provide help in giving the Exam and Regular fees for the Students. Exam fees is 300 Rs/ Student and Regular fees is 200 Rs/Students. REQUIREMENT: Along with the Stationaries for the students head master also requested if IS can provide sports materials. Stationaries Requirement : Attached Excel. 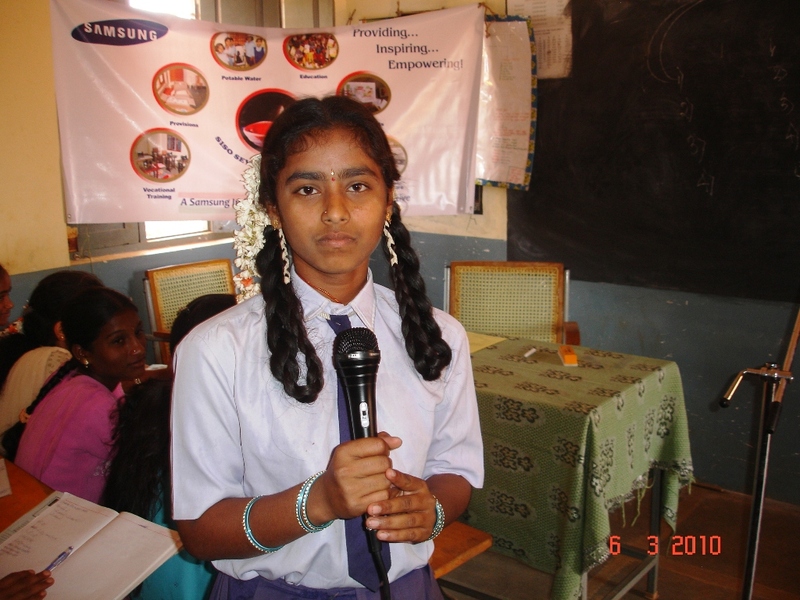 India Sudar and Samsung Seva Team have arranged a special program for 10th standard students from 6 rural villages in Karnataka. There are 200 students participated and benefited. 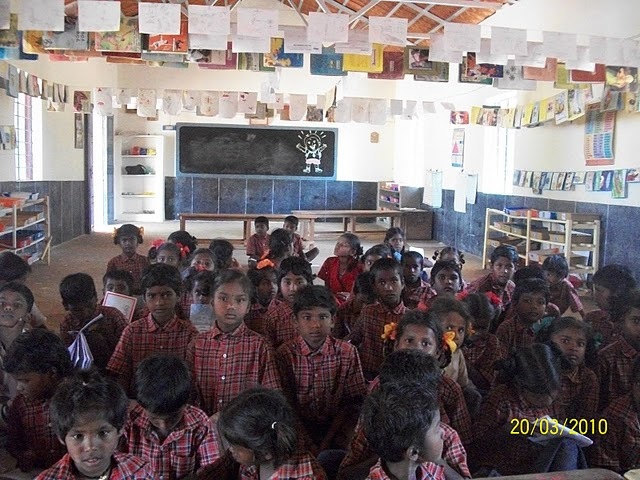 Students from 6 different schools all belonging to 10th std were assembled in a class room. Pamphlets containing information about different Careers prospects after 10th std and details about the 10th std examinations was distributed to all the students. In the first session(10:00am – 11:30am), Prof Subbanna addressed all the students and gave them tips as how to crack the 10std examinations. He also familiarized the students with the new format of the examinations and all doubts regarding these were cleared. In the second session(11:40am – 12:15pm), Prof Subbanna put forth the various career prospects available to students after completion of their standard 10. This was a interactive session and the motivational speech at the end was the highlight of this session. In the final session(12:30pm – 01:20pm), Prof Subbanna enlightened the teachers about the innovative methods of teaching and ways of boosting the students confidence before exams. The question bank books were distributed to teachers. Information regarding how to use the question bank and the various subject books(compilation of previous year papers and the papers released by SSLC Board) was given to the teachers. We have received good feedback from students and they requested us to conduct such programs for remaining students in all the govt schools in and around Chikkaballapur. 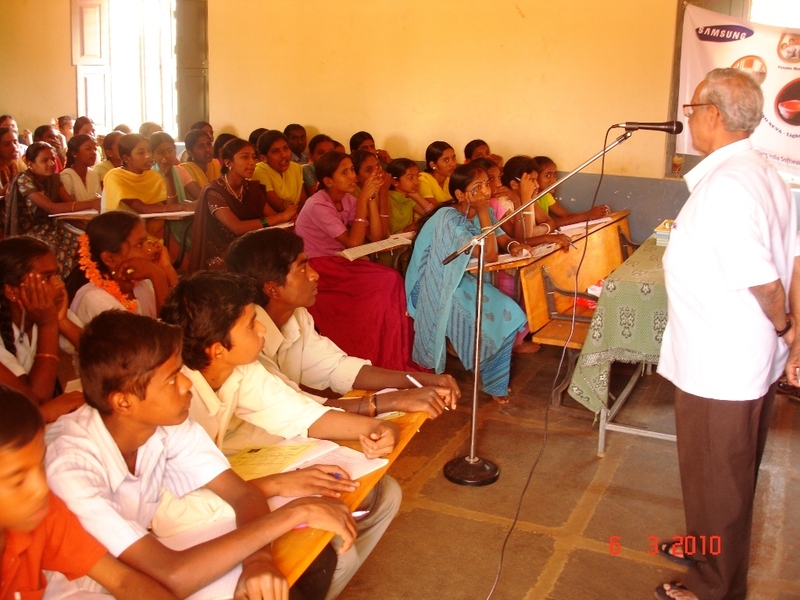 Teachers requested us to conduct such programs little earler from next year onwards. At the end of this session, Ravikumar K presented Prof Subbanna with a India Sudar T-Shirt as a token of appreciation. 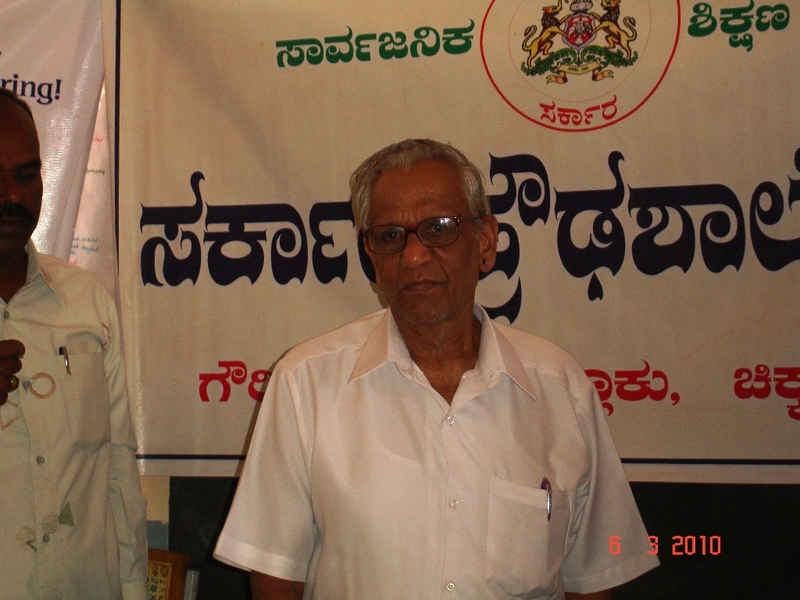 Prof Subbanna deserves a special mention for his enthusiasm and his motivation even at the age of 82. 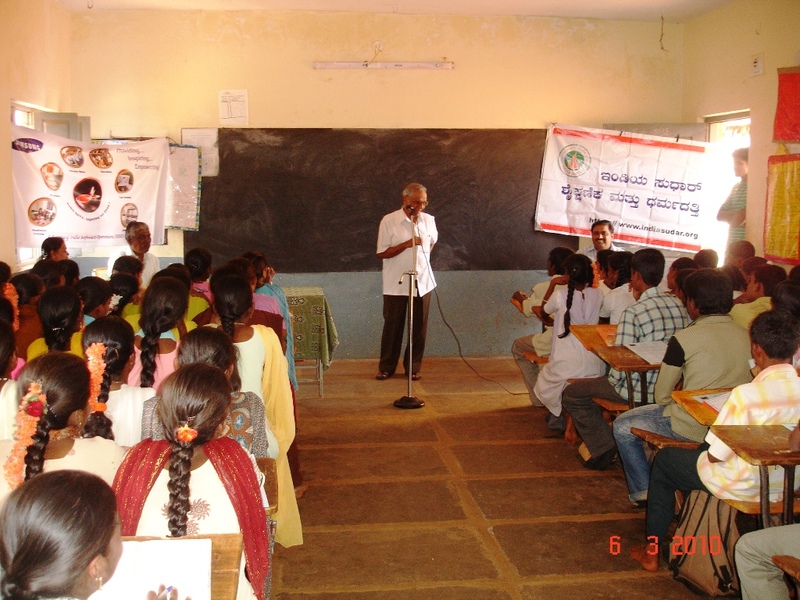 This was followed by a small photo session with the students, the photos of which and the above mentioned events can be found at http://picasaweb.google.com/indiasudar/InteractiveSessionWithProfSubbannaFor10thStandardStudentsKARNATAKA?feat=directlink. The event was successful and the India Sudar and Samsung teams efforts in making the event successful was highly appreciated. India Sudar thanks G C Ramachandraiah – Headmaster of gedare, Seshadri – Headmaster of Chikkakurugodu, Volunteers involved and Samsung team members for taking special interest in making this event successful.